When one of Bertie Wooster’s American chums needs help in getting his hard-nosed uncle to approve of his intended, Jeeves demonstrates his collossal mind power with the equanimity of a true gentleman’s gentleman. From Emily Burke of Bloomington, Indiana on 8/19/2013 . 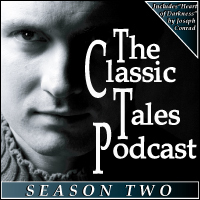 I love the Classic Tales Podcast and I loved this audiobook, B.J. Harrison has a wonderful voice and his performances of P.G. Woodhouse classics and of Sherlock Holmes absolutely can't be beat. From Michael Cozens of London, Ontario on 7/23/2013 . What can be said about Wodehouse that hasn't already been said elsewhere, and with greater eloquence? As usual, B.J. 's narration only makes this gem of a work shine brighter. From Johanna of Bay area, California on 10/3/2011 . 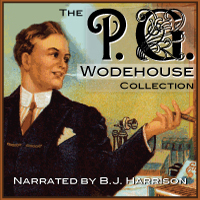 PG Wodehouse is a brilliant, funny and truly English humorist who is an absolute pleasure to listen to. I have several of his audiobooks and find them a wonderful pick-me-up! !